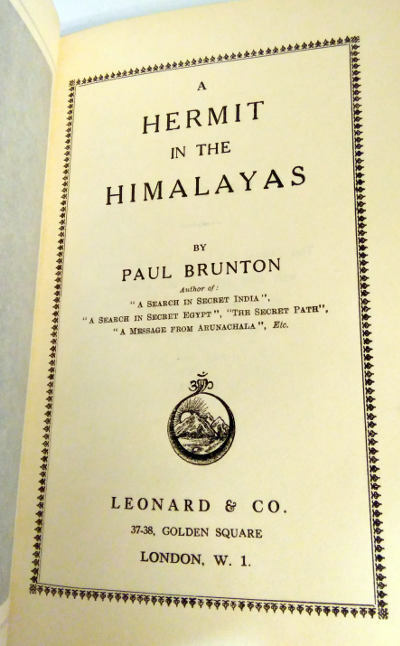 The journal of a retreat to the Himalayas, by a writer made famous by his previous books, A Search in Secret India and A Search in Secret Egypt. Publisher: Leonard & Co., London. 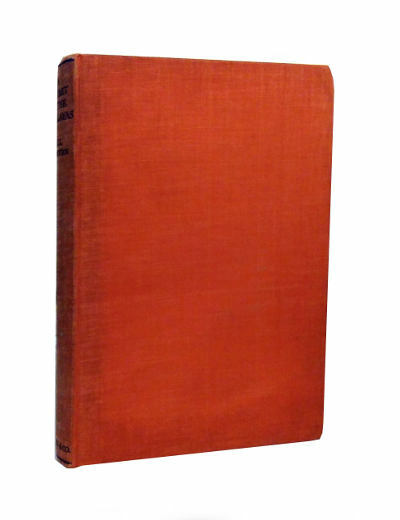 No date, research reveals it to be 1936, first edition. Condition: Hardcover, no dust jacket. Very good. Pages slightly tanned. Text clean, binding tight. 322pp., app 9″ by 6″. In A Hermit in the Himalayas, writer and journalist Paul Brunton retreats to the Himalayas to experience living as a hermit, and to contemplate about life and spiritual matters. The book is essentially Brunton’s journal, where he pens his experience in the Himalayas, as well as his thoughts on Hinduism, Buddhism, yogis, the modern world, politics, and various other matters. 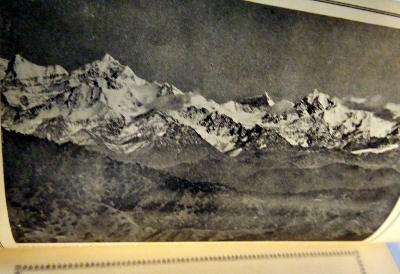 He is visited by a few yogis and a prince of Nepal (who writes the foreword to the book), during his time there.